The Dolphin Head Golf Club, originally designed by Gary Player and Ron Kirby and built in 1974, was the first golf course developed at Hilton Head Plantation. A trademark of Dolphin Head is the slight elevation of the greens from the approach-shot area and the numerous mounds, which accentuate the greens. 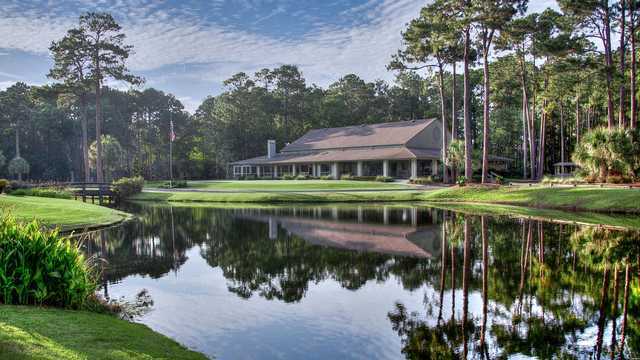 Under the direction of renowned golf course architect Clyde Johnston, Dolphin Head Golf Club's greens were rebuilt in 1993. Most recently, all bunkers were completely rebuilt, and four new fairway bunkers were added in strategic locations. A major tree-thinning program has been under way in the last few years to allow more sunshine to reach tees and greens. The front nine starts and finishes with par 5s, and No. 18 is also a par 5. 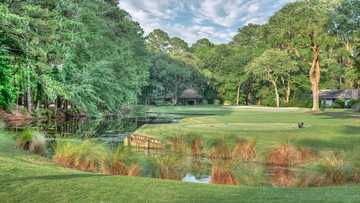 At long last, the public can play Dolphin Head Golf Club in Hilton Head Plantation, the only course in the area designed by Gary Player. In building the course, Player’s main goal was to leave intact as much of the terrain and to move as little dirt as possible, keeping a natural look to the golf course. The success he achieved is amazing, as is the golf course. It’s one of the most visually stunning and best maintained courses in the area. The surrounding natural preserves and local wildlife were not interrupted and harmony between man and nature has been achieved. 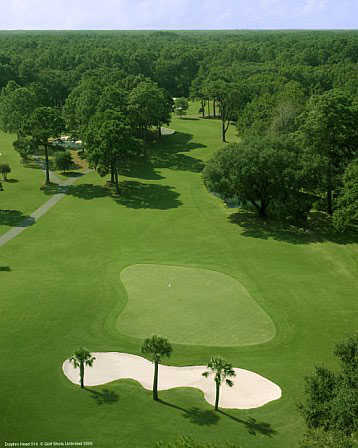 Dolphin Head Golf Club opened in 1974 as the first course built in the Hilton Head Plantation. Local course architect Clyde Johnson renovated the tees, fairways and greens in 2010, installing denser Celebration Bermuda in the fairways and tee boxes and Mini-Verde Bermuda on the greens. The result is lusher fairways and quicker greens, something admired by the majority of golfers. Dolphin Head gets your round started with a hole that can put you on the right track in a hurry. It’s a modest length par 5, dogleg right at 465 yards from the White Tees, however you’ll need to avoid the pond on the right and trees on the left off the tee. Make it to the dogleg with your tee shot and you’ll have a clear shot into a green protected on the front right and back left by bunkers. The elevated green slopes gently from back to front so be sure to put your approach shot below the hole and start off the round in a positive manner. At 401 yards from the White Tees, Number 6 is the course’s toughest hole. If a draw is in your shot repertoire, now would be a great time to use it; anything short of the dogleg and you’ll likely be blocked out by tall pine trees. A good drive will still leave a lengthy approach shot into an elevated green protected by sand front left and right as well as grass swales long. Par is a great score here. Carry the fairway bunker on the right side off the tee and you’re well on your way to a low score on Number 11, a par 4 that plays 365 yards from the White Tees. That will leave a short pitch shot to an odd-shaped green with a large bunker on the right and a small mound in front. Straight is the key to success on Number 15, a long par 4 that plays 399 yards from the White Tees. The fairway bunker on the right seems like a ball magnet to many and the two-tiered green is well bunkered on either side. Your round concludes on a signature hole. Number 18 is a dogleg right par 5, playing 470 yards from the White Tees. A good drive up the left side may just inspire you to go for the green in two, however danger awaits any errant attempts. A large pond makes up the right side of the fairway from about 300 yards out and the left side of the green is home to a rogue sand bunker. To further complicate matters, the green has two tiers and a bit of slope to it. 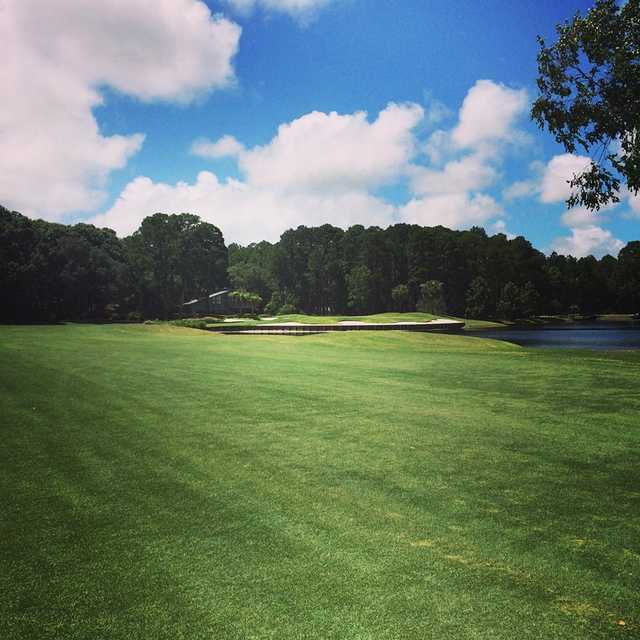 Take your par and head to the 19th hole. discounts on guest fees, lodging and pro shop merchandise and unlimited golf lessons with a PGA professional. Not impressed by how the public is treated by this once private course. We were TOLD to delay our tee off because a tournament wasn't finished. We were told 2 groups needed to come through turned out to be six. We were delayed an hour, couldn't finish our 18 because of darkness and then the marshall accused us of slow play and was very rude. Last time we will ever play at Dolphin Head and will definitely warn others not to play there. Put a damper on our Hiltons Head experience.